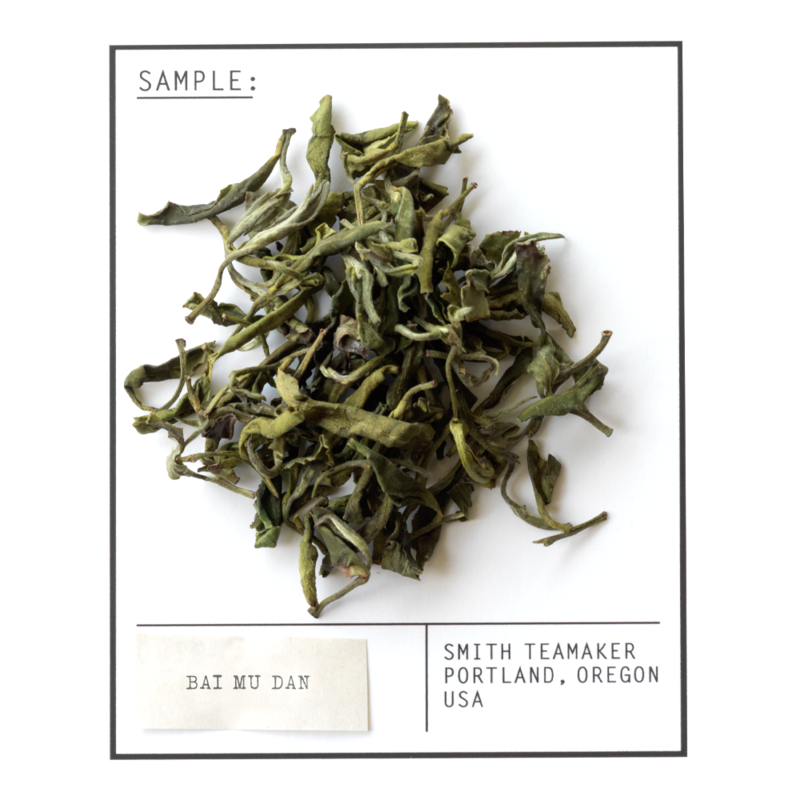 Bai Mu Dan, or White Peony, is often considered the second highest grade of white tea (after Silver Needle) and was traditionally produced in the northern Fujian Province of China. It comes from the top two leaves and bud of the tea bush, which can be shade dried and/or lightly fired. This gives White Peony a pale cup color and delicate, nutty aroma. The complex flavor is toasty, slightly sweet and creamy, with a clean aftertaste. A symbol for the "double happiness" where this tea comes from. Full leaf White Peony tea from Fujian Province in China. For best flavor, bring spring or freshly drawn filtered water to 190 degrees. Steep three minutes. Feed your meter if needed.